Crumbling foot braille at the edge a of little used portion of the platform at Diridon station, San Jose. 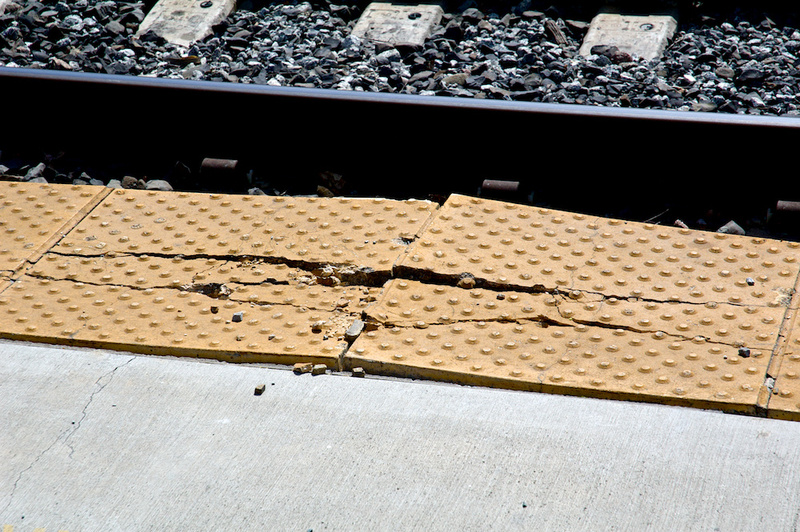 Most likely the result of poor workmanship rather than age, as the platform there was brand new. Shot with the Nikon D70s and the 18-70mm f/3.5-4.5 zoom at 70mm, ISO 400, f/9, shutter 1/640 sec. White balance, exposure, contrast, highlights, shadows, and levels adjustments in Aperture.